An incredible sunrise above the clouds in the Tatoosh range greets the great Mount Rainier, named Tahoma, by the natives before us. 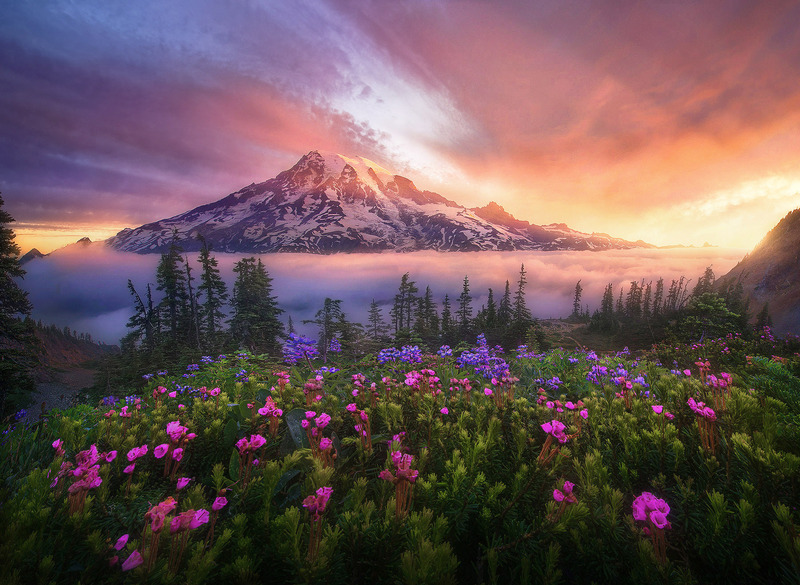 Wildflowers at their summer peak adorn the foreground. Photo © copyright by Marc Adamus.